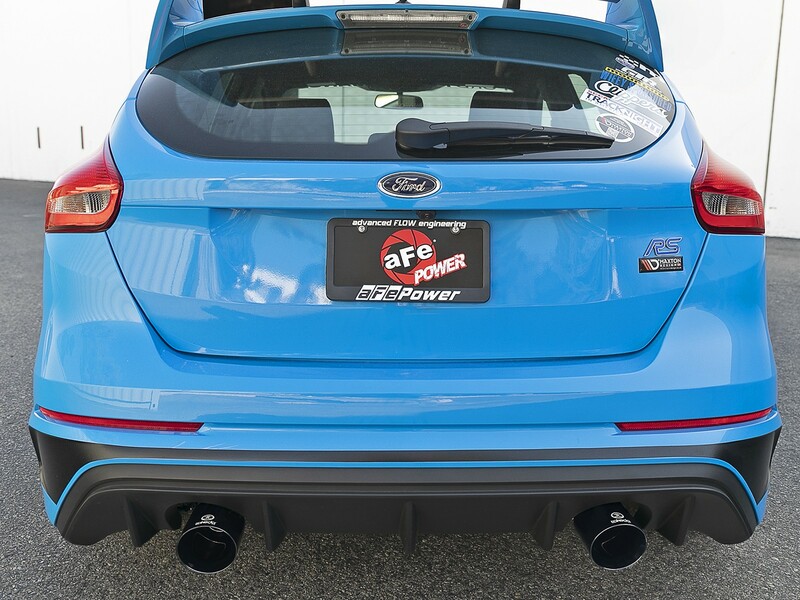 Optional muffler delete pipe P/N 49M00035 and front resonator delete pipe P/N 49-36622 are available for a more aggressive exhaust tone. 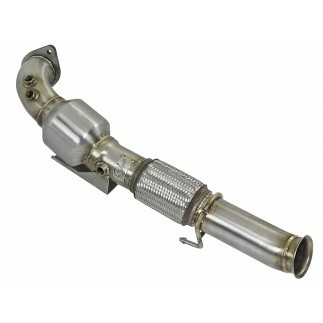 Power, sound and good looks is what this Takeda cat-back exhaust delivers. 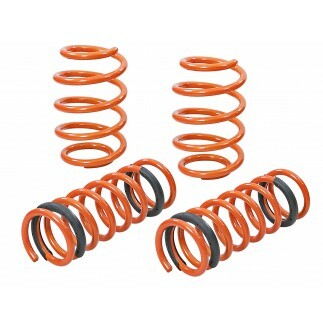 Power gains of up to +11 horsepower and +15 lbs. 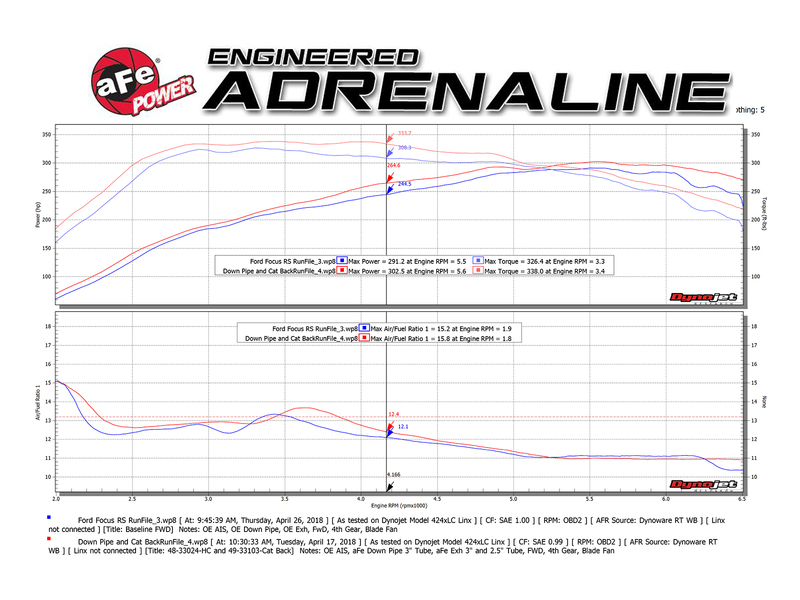 x ft. torque as shown on our in-house dyno. 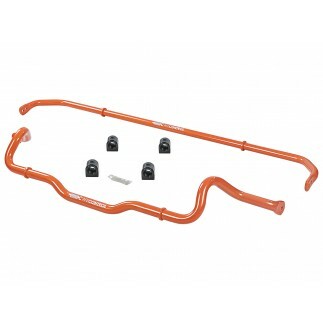 3"- 2-1/2" mandrel bent 304 stainless steel tubing and high flow transverse muffler offers maximum exhaust flow and incorporates a factory style exhaust valve to control the exhaust note. 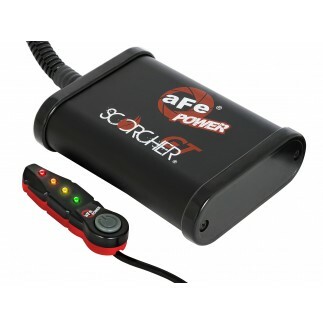 The valve utilizes the factory valve motor and factory performance modes. 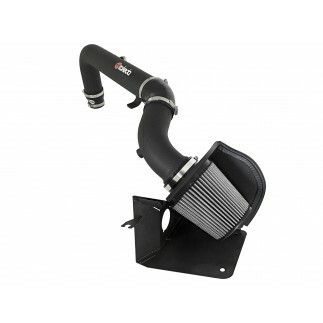 When closed, it directs the exhaust through the high flow muffler for a smooth, tuned exhaust note. 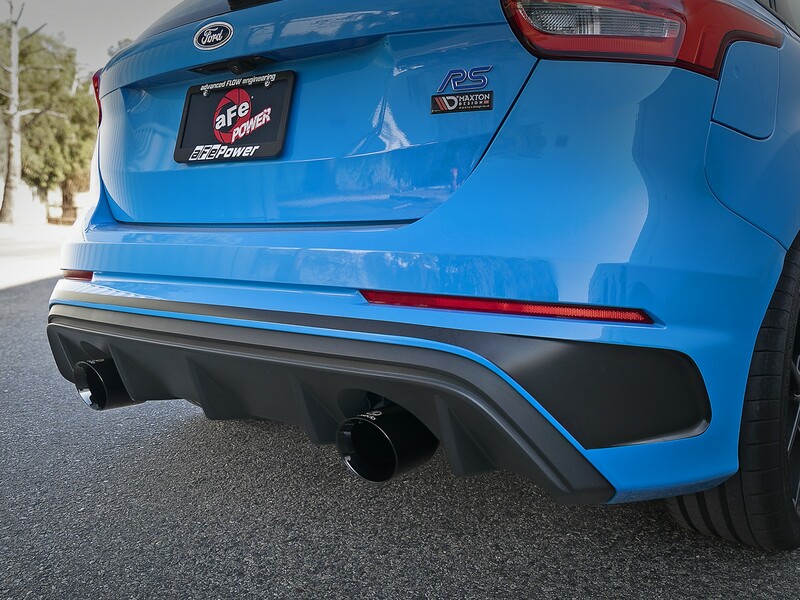 When opened, the exhaust is allowed to bypass the muffler and unleash the sound and performance of your RS. 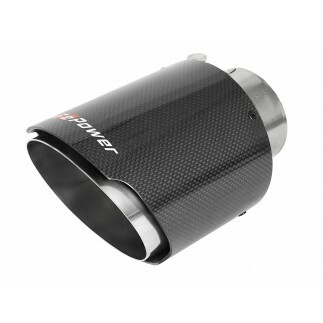 The high flow, stainless steel muffler is finished in high temp, metallic black powder coating for long lasting good looks. 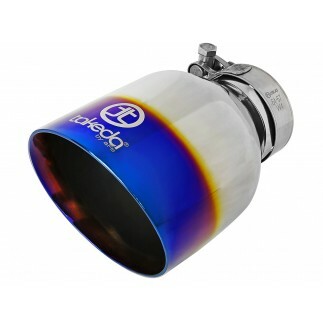 Dual 4 1/2" black stainless steel exhaust tips with laser etched Takeda brand logo for a custom finish. In-house dyno testing produced gains of up to +11 horsepower and +15 lbs. x ft. torque. 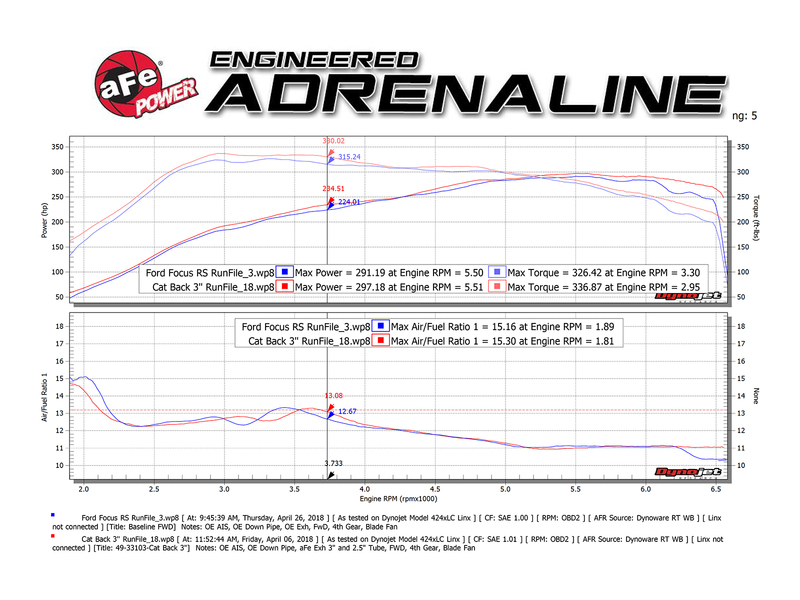 In-house dyno testing produced gains of up to +20 horsepower and +25 lb.-ft. of torque when combined with aFe down-pipe (P/N: 48-33024-HC). 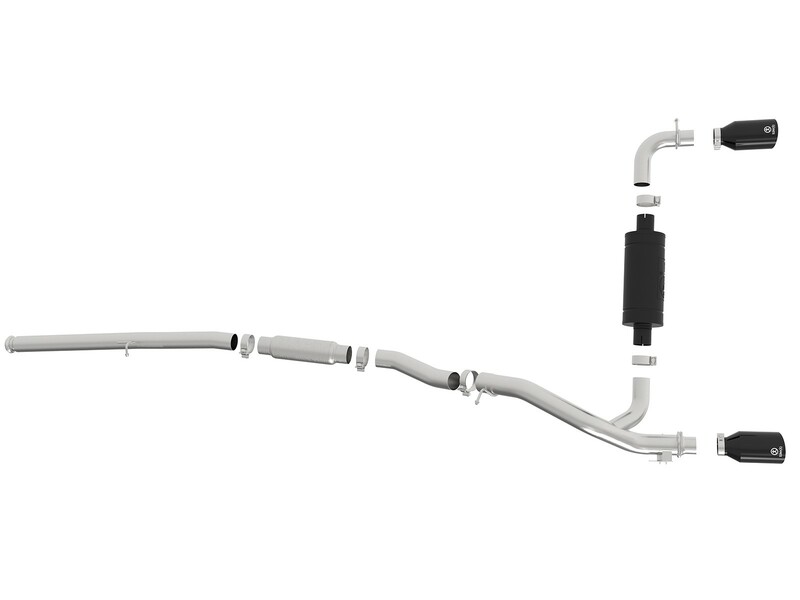 This exhaust system is constructed of 3" – dual 2-1/2" mandrel-bent, 304 stainless steel tubing for maximum flow and corrosion resistance. 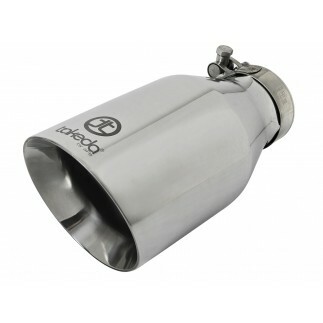 Finishing off this system are dual 4 1/2" diameter black stainless steel clamp on exhaust tips. 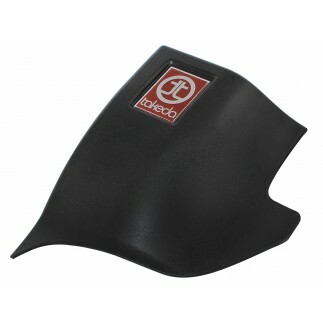 Clamp on tips for adjustability and a perfect fit. 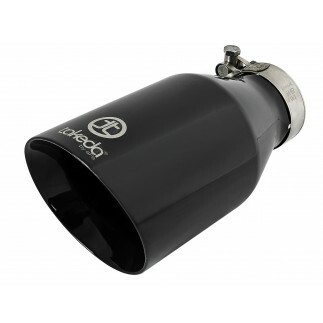 The tips come with a laser-etched Takeda logo for a custom, stylish finish. 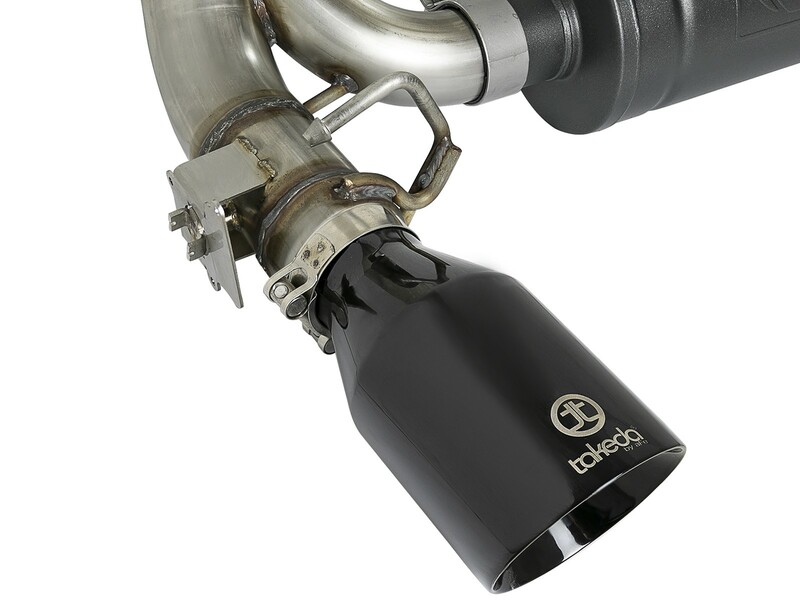 Incorporated is a factory style exhaust valve which uses the factory exhaust valve motor (not included). 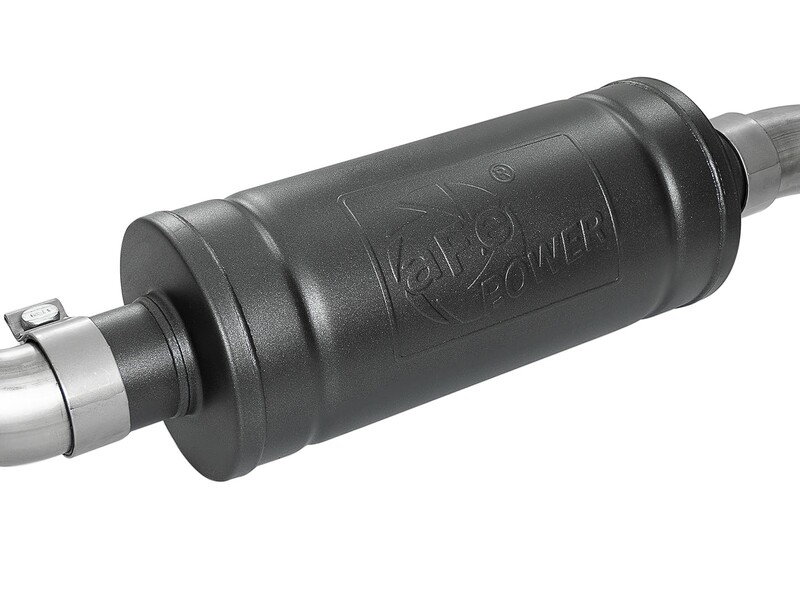 The valve helps regulate, direct and control the flow of exhaust gases by opening, closing, or partially obstructing passageways depending on throttle position and factory performance mode for maximum performance. 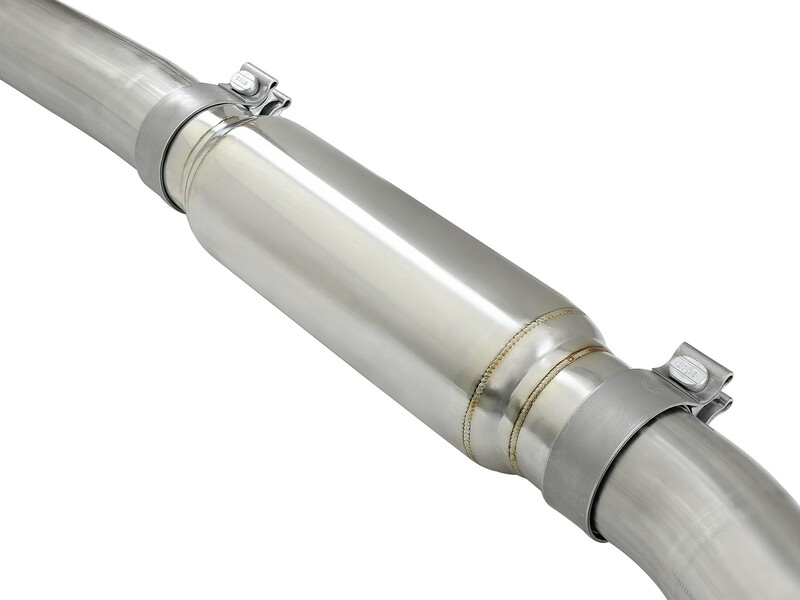 14" length x 6” diameter round high flow, stainless steel muffler with a high temperature metallic black powder coating that helps prevent corrosion. 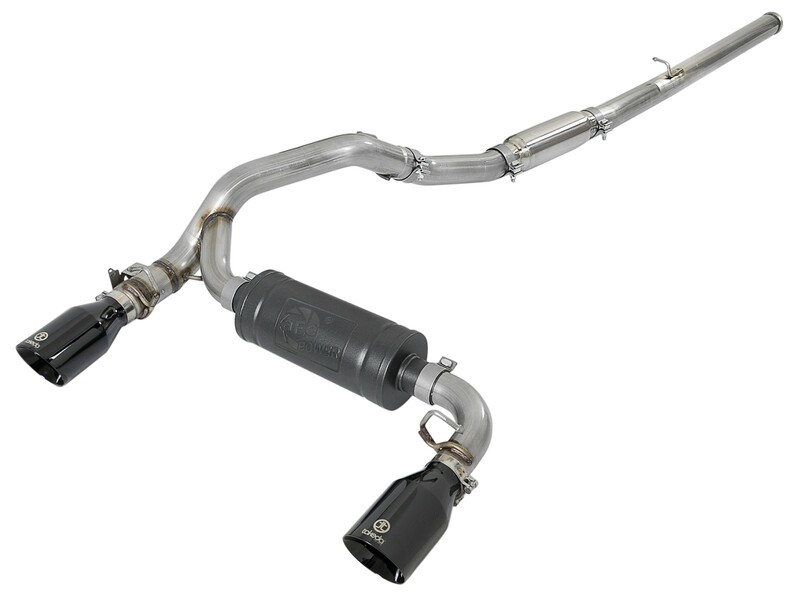 Optional muffler delete pipe P/N 49M00035 and front resonator delete pipe P/N 49-36622 are available for a more aggressive exhaust tone. 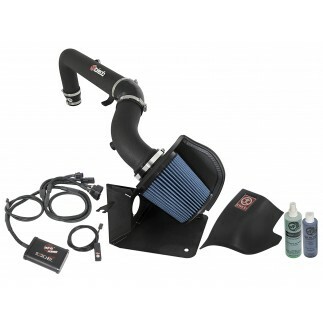 This system is designed to be a direct bolt-on system. 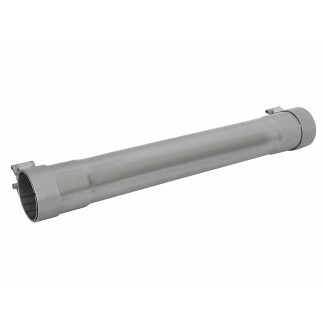 Also included is high quality stainless steel hardware for a hassle-free installation.